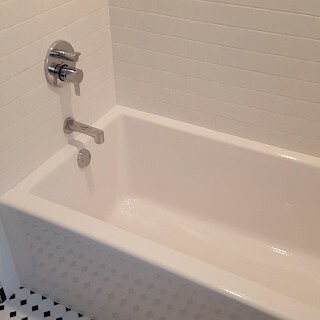 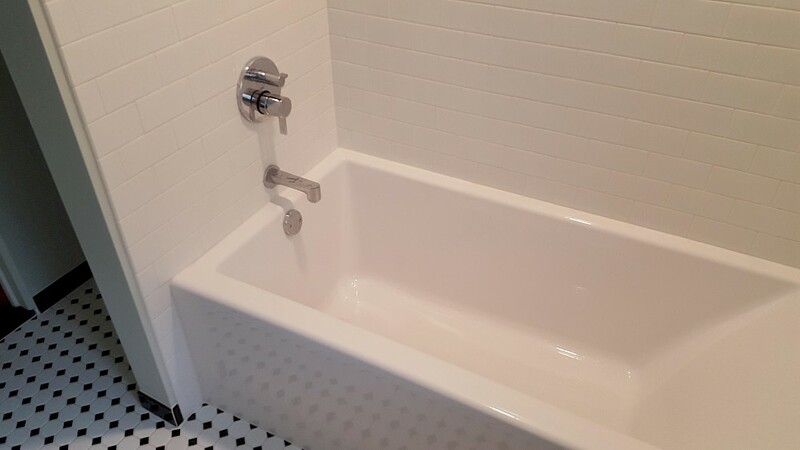 This Ann Arbor bath was a complete renovation. 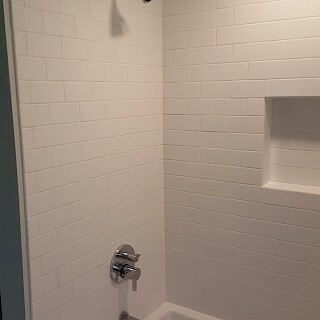 The drop ceiling was removed above the shower allowing the shower head to be raised. 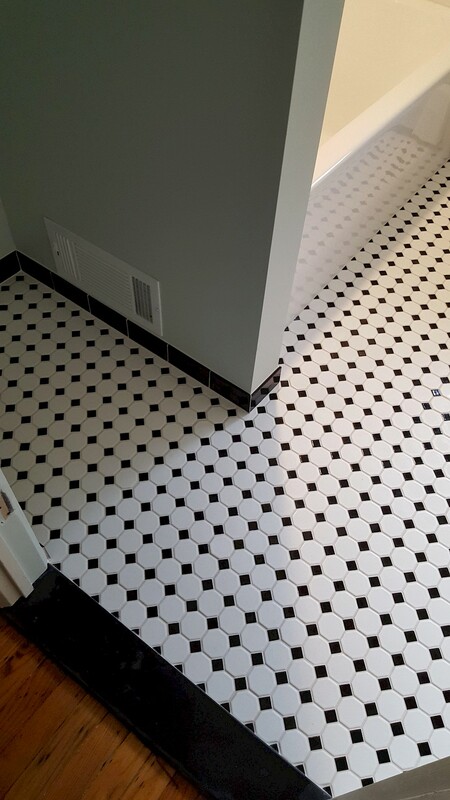 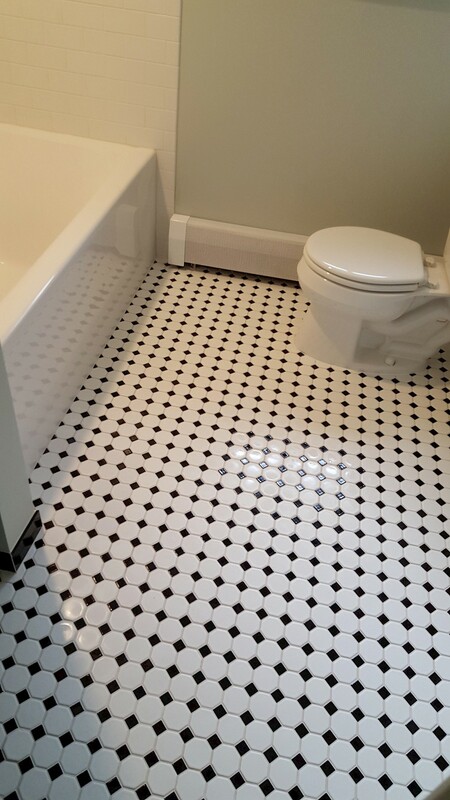 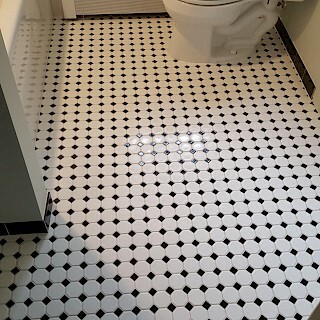 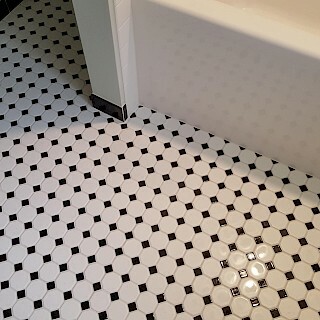 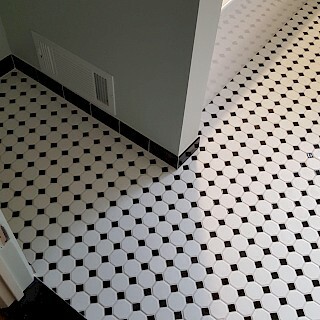 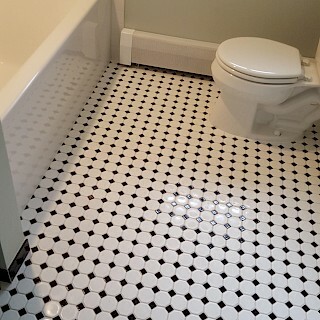 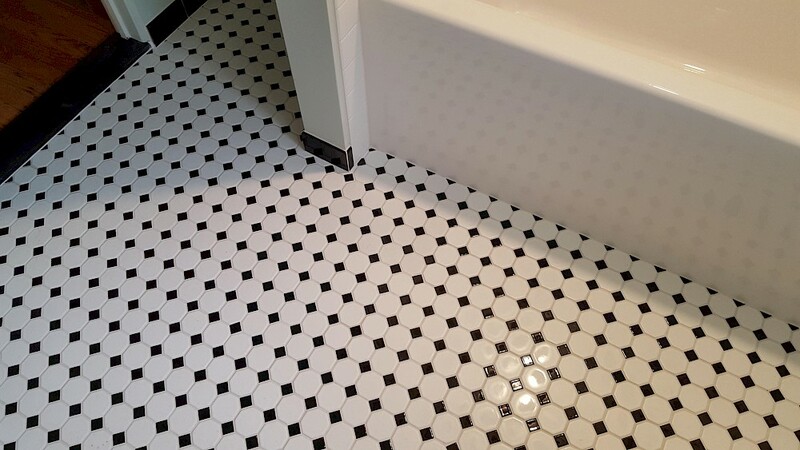 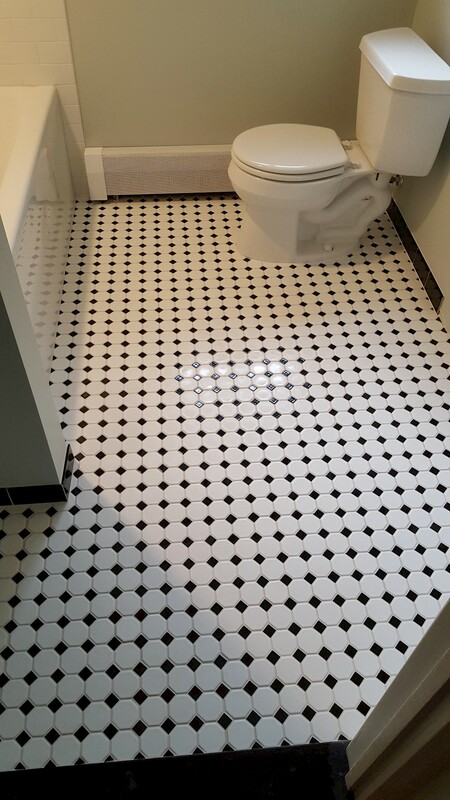 Multi-layers of flooring were removed and replaced, and a fully tiled octagonal black and white mosaic pattern was added. 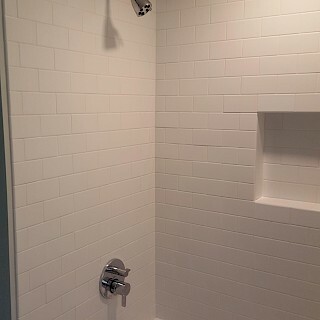 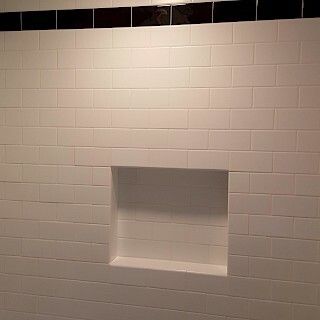 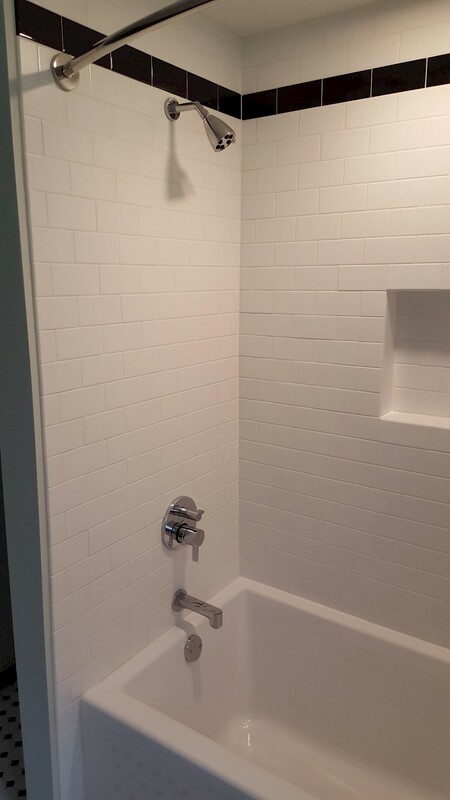 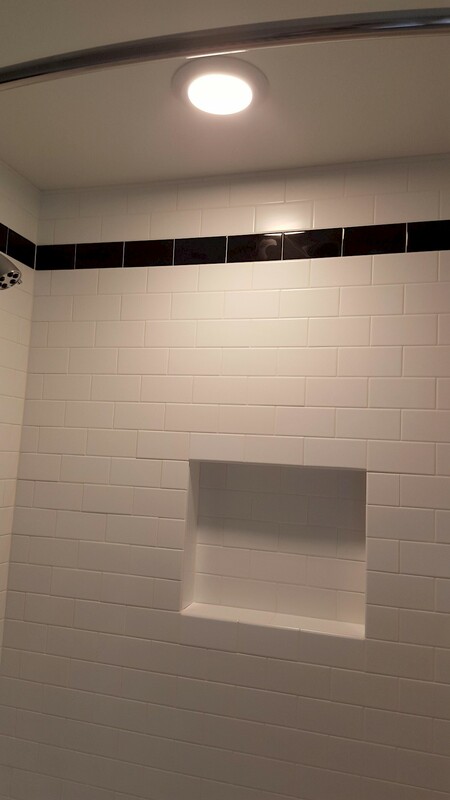 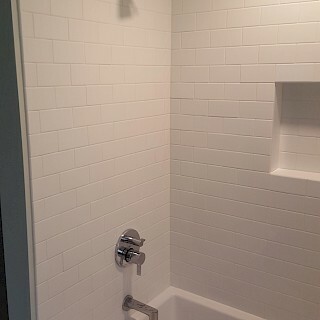 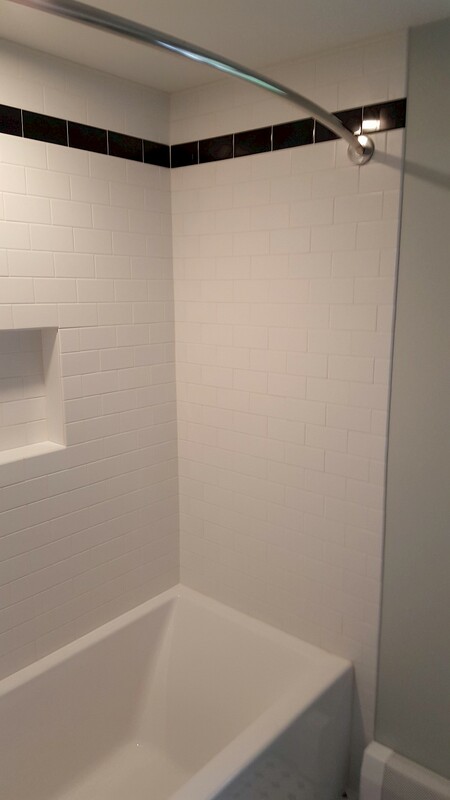 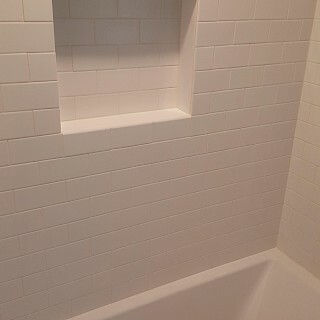 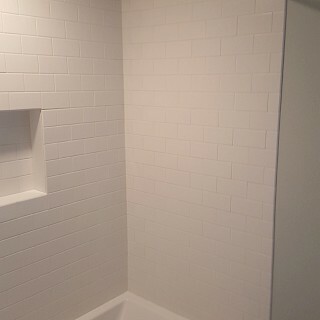 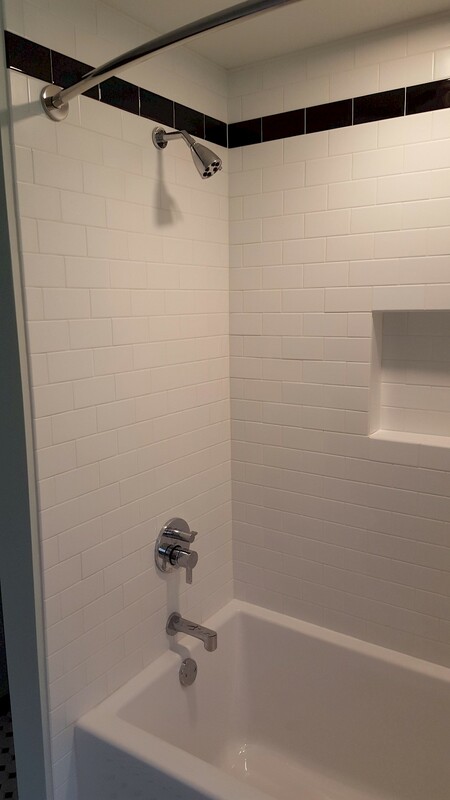 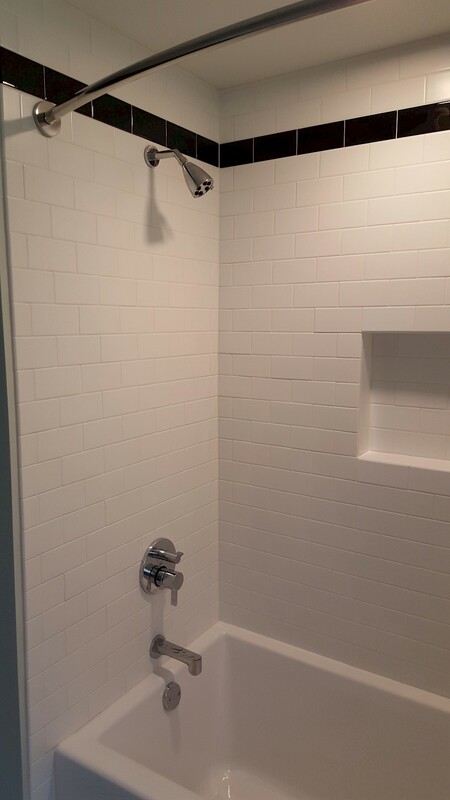 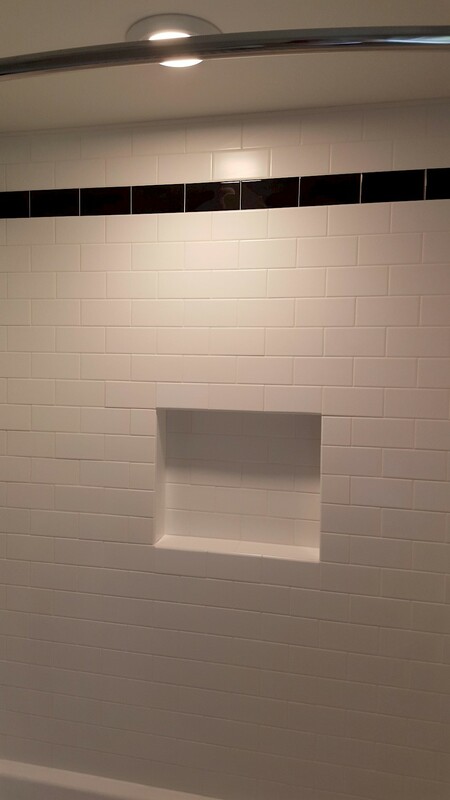 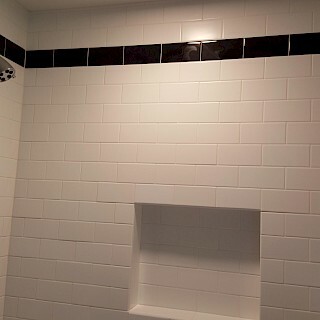 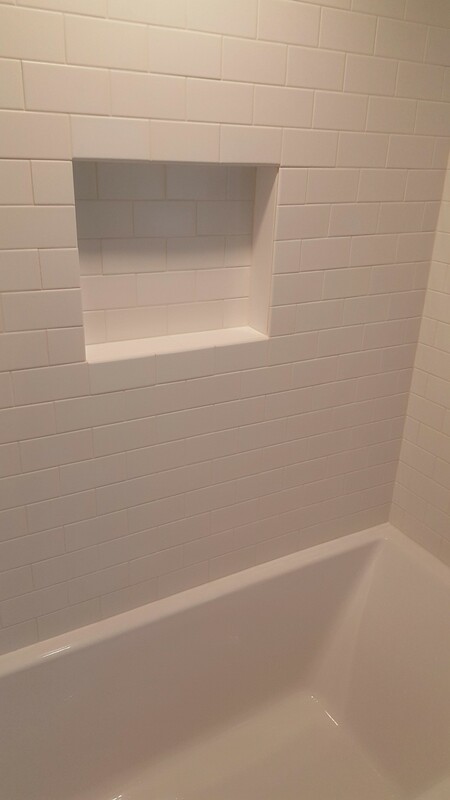 The ceramic subway tile and black accents were installed along the shower walls, with the showers shelving installation specifically designed to avoid damage to any tiles.